Welcome to Troop 604 in Lawrenceburg, IN. Troop 604 meets on Wednesday nights from 6:30pm to 8:00pm at the new “Scout Cabin” near the end of High Street by the tunnel. 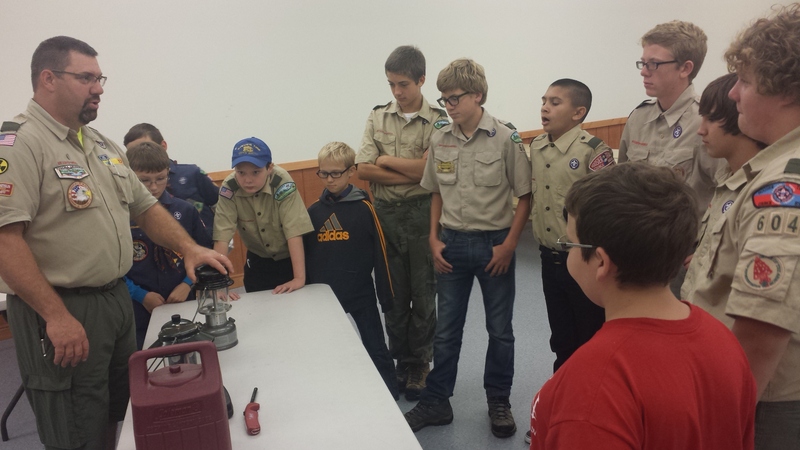 Cub Scout Pack 604 is the feeder Pack for Troop 604 and shares the scout cabin facilities. Our Troop has a proud and storied history that you will enjoy learning about from other Scouts and Adult Leaders during future Troop campouts, hikes and meetings. Being outdoors is an integral part of the Scouting experience and with Troop 604, you will have many opportunities to camp, hike, and enjoy being a Scout. We generally try to schedule an outing once a month and mix up camping and backpacking, with Camp-o-ree’s and community service opportunities. Troop 604 is a boy-run organization. Our troop is broken into two patrols, the Cobras and the Bears, each having their own Patrol Leader (PL) and Assistant Patrol Leader (APL). The adult leaders are present to assist the boy leaders in putting on the program, assist Scouts with their advancement, and to ensure safety. The intended consequence of this program focus is that from early in their Scouting careers, the boys will learn how to become leaders. The purpose of the program is not to make great hikers or great campers; it’s to make great leaders and citizens. Hiking and camping are some of the things we do to develop leadership skills. The unintended consequence of this program focus is that we’ll occasionally have a poorly planned meeting or campout. We try to learn from these experiences and try not repeat them too often. It’s through success and failure that the boys learn and grow. If you have an idea of how to improve an event, or have an event you would like the Troop to try, please let your Patrol Leader or Senior Patrol Leader know. The adult leaders will often talk to the SPL or PL when we see things going wrong but it’s great if this feedback comes from you as well. The adult leaders are available for the boys to talk to either in person at a meeting or campout or by telephone/email during the week. The various elected and appointed boy leader positions that allow the Troop to function as a boy-led organization are outlined here, and troop elections offer opportunities for boys to try new positions. If your son is interested in big fun, and high outdoor adventure, click here for more information. Learn more about patrols and meet the scouts! 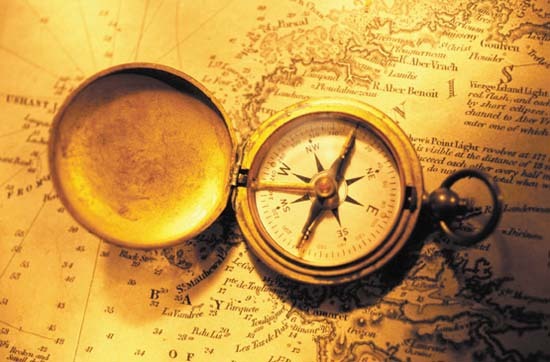 We say leaders, but consider ourselves guides! The boys make the plans, and we help them execute them. 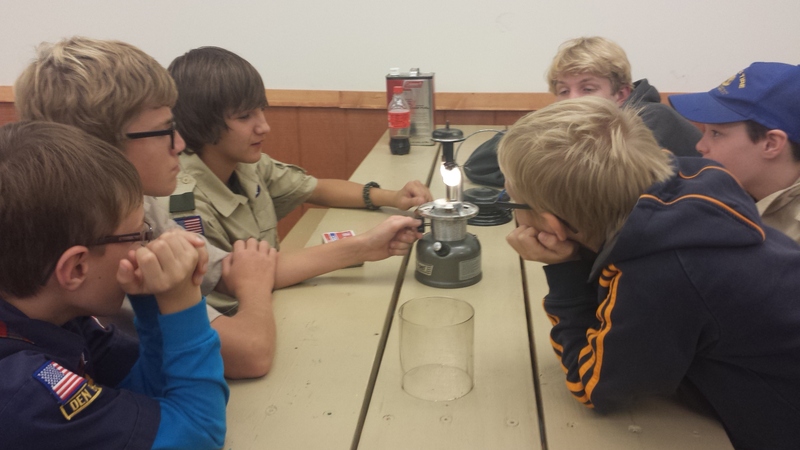 Learn more about the history of Lawrenceburg Troop 604 and the scout cabins. Meet the rest of the Troop. Each boys fills a valuable role in the Troop and annual troop elections let them learn a new role.